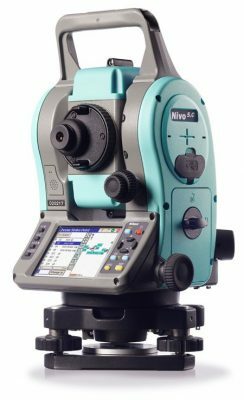 Nivo C Series is compact, rugged, and lightweight and is available in 1”, 2″, 3″ and 5″ models to meet specific accuracy needs. Additionally, they feature high quality Nikon optics and a dual-face display for efficient high-precision angle and distance measurements. They also support both prism-based and Reflectorless technologies that ensure fast and flexible distance measurements. All Nivo models are supported with legendary Nikon high clarity optics, allowing clearer images in bright and low light conditions, making measurements easy and reducing eye stress.